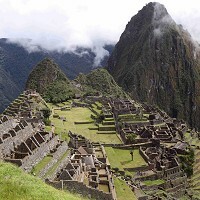 A new survey has revealed that many British holidaymakers are keen to take a trip to Machu Picchu in Peru. According to the latest Intel Visual Wonders of the World poll, the Inca site was chosen by voters from all over the UK as one of the "must-see locations". The poll, which formed part of Intel's campaign to find out what matters most to the UK travellers, revealed that visitors are attracted to the location because of its "breathtaking views". A comprehensive travel insurance policy could prove useful for those planning a trip to Peru. Featured in Intel's Seven Visual Wonders of the World, Machu Picchu offers a unique experience for adventure lovers. Although tourists can take a day trip to the location, trekking the Inca Trail to Machu Picchu can be a once-in-a-lifetime adventure. Tourists can enjoy beautiful mountains and other Inca's ruins while trekking. Hikers who take the Inca Trail may wants to go to the Sun Gate and witness the sun rise over the spectacular site.